April 22, 2015 andrewComments Off on Chip’s Challenge is Back! For those not aware of the joys of the windows 3.1 (or Win95-98), you’re in for a treat. Chip’s Challenge, a fantastic little puzzle game with a ton of levels is finally coming back. 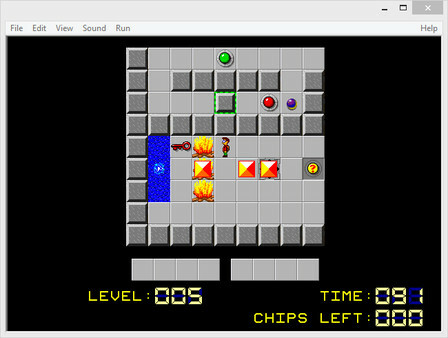 My first experience with Chip’s Challenge was back on Windows 95 on an old Hewlett-Packard desktop, long before the HP/Compaq Merger. I’m super psyched for this game. Due to some licensing issues which tied it up for the last 25 years, Chip’s Challenge 2 has sat on a shelf as the original developer Chuck Sommerville was unable to release it. Astonishingly, Chuck managed to make the original Chip’s Challenge in just ten weeks, and then spent the following 2 years working on it’s successor, only to find out he wasn’t going to be able to publish it. All these years have passed and fans of the game have been pleading with the current trademark owners to make something work. Success! Chip’s Challenge 1 and Chip’s Challenge 2 will finally come to PC again on Steam on May 29th. There will also be an editor for Chip’s Challenge 2 that will be available as well. I’m absolutely psyched. I’ve been one of the people who’s been waiting and hoping that Chip’s Challenge would resurface on current platforms so I could relive a bit of my childhood. I’ll absolutely be getting both of these day 1, how about you?